Lynn and Thomas came down for a few days, and their visit overlapped the 4th of July and the start of the Hollister Rally. 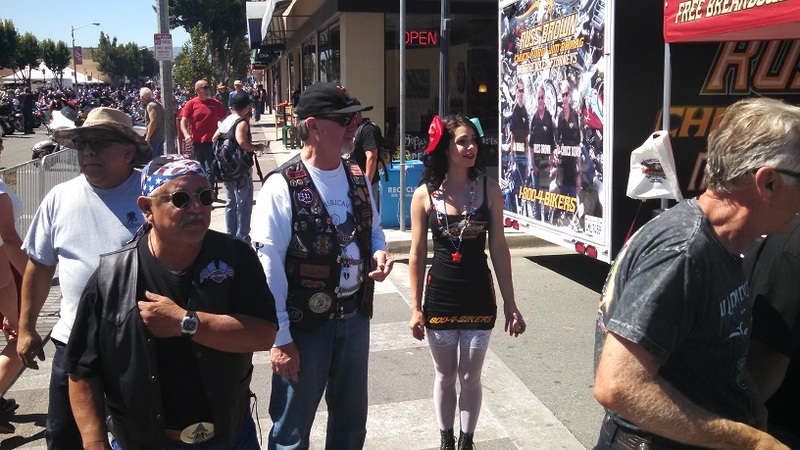 So we met up with a few of my American Legion Rider friends for breakfast and headed to the rally. 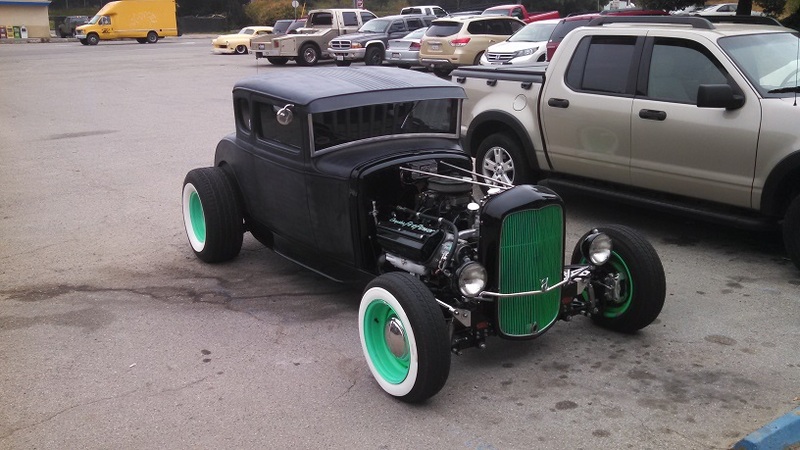 After breakfast this nice little Rod was sitting in the parking lot. It was a nice start to the sight seeing. When we first got to the Rally it was still spinning up. It was the first day and still pretty early in the morning. 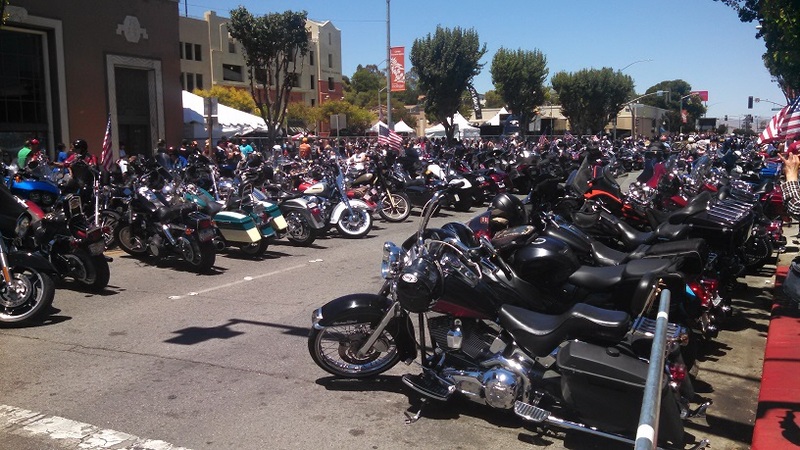 Before we knew it though it was nothing but motorcycles everywhere, vendors, people, etc. And it wasn’t just Harley’s. 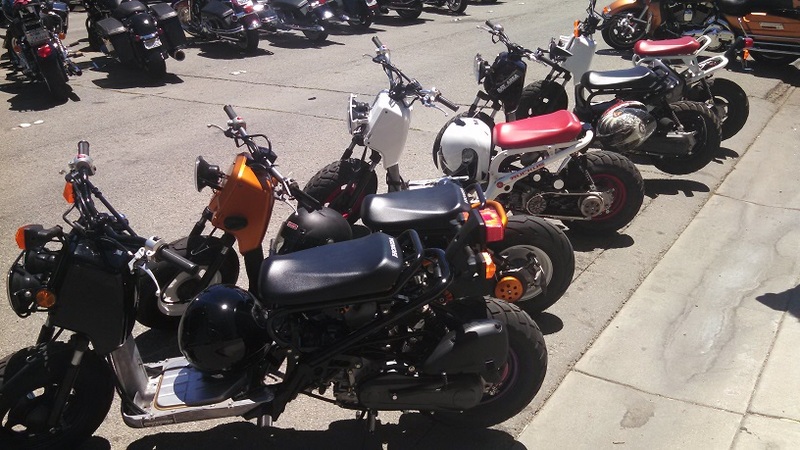 There was a contingent of Honda Ruckus there also. 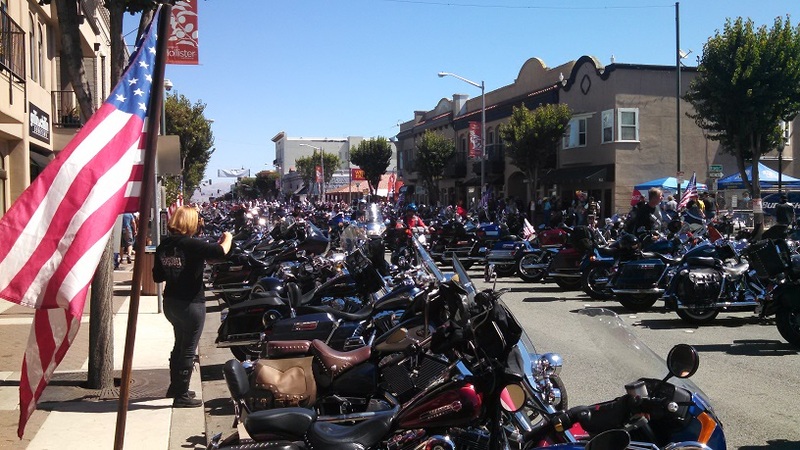 Sis let me borrow her Honda CTX to ride out to the Rally. 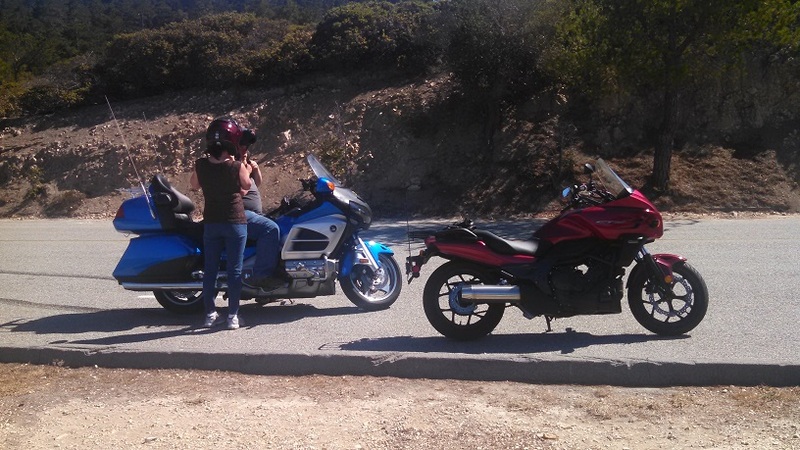 Her and Thomas doubled up on the Goldwing of his. On the way home we took some back roads and had a fun ride.